Black short-tailed groom suit. Peak lapel with single button closure. Flap pockets with contrast trim and angled buttonh... Black short-tailed groom suit. Peak lapel with single button closure. Flap pockets with contrast trim and angled buttonholes. Single patterned button for each sleeve and single vent at back. 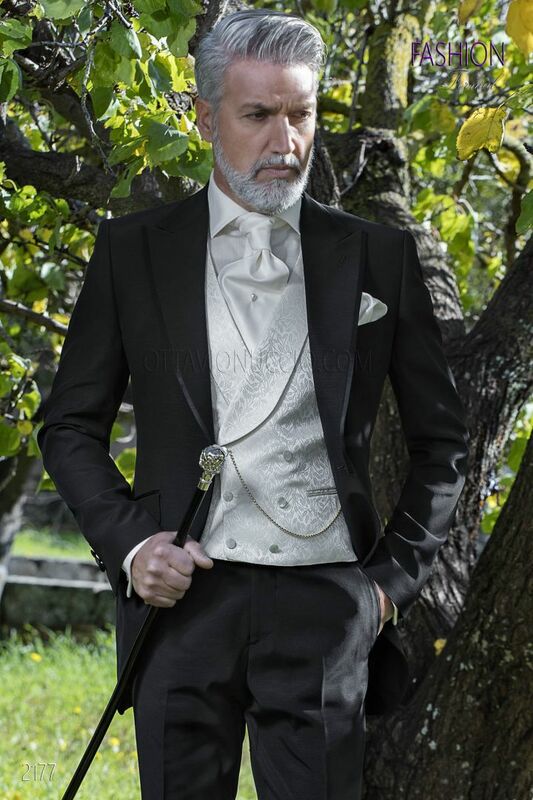 Cravat and handkerchief set made from ivory satin. Handmade.